On the morning of May 14, 1942, 12 of the 17 soldiers on a pontoon boat crossing Charlie Lake, just north of Fort St. John, drowned after the boat sank. In 2008, a monument to commemorate the tragedy was built at the south end of Charlie Lake. There is a post to honour each of the soldiers who lost their lives. 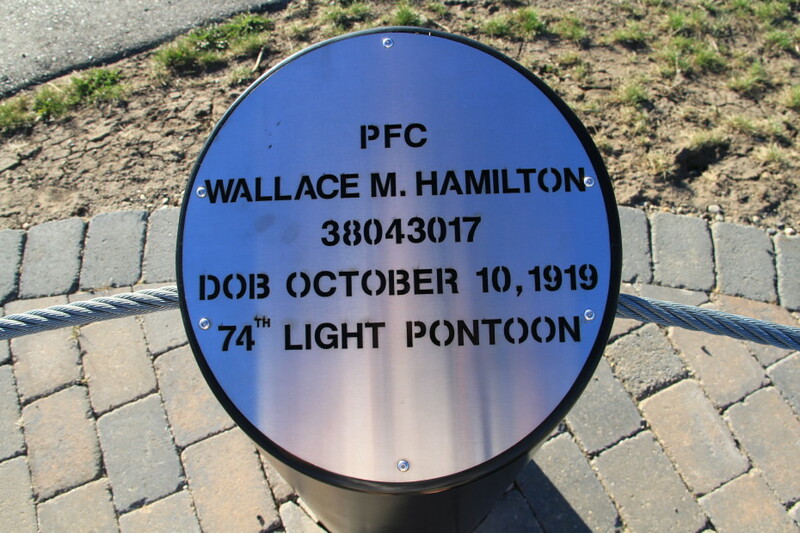 This post is for PFC Wallace M. Hamilton, 74th Light Pontoon. This photograph is © 2017 by Murray Lundberg, and is not to be copied without express permission.